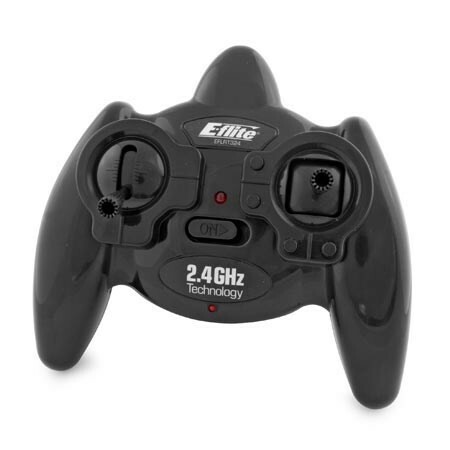 Here you have an E-Flite EFLRT324 DSM (3) Channel Transmitter For The New E-Flite Blade Scout CX Ultra-Micro Helicopter !! This is an all original Transmitter that comes with the E-Flite Scout CX Heli !! Simply open box, Bind to your Model & Fly !! This radio lists for $39.99 plus tax or shipping at any hobby outlet, so take this into consideration, buy accordingly and pick this one up for a spare or replace an old unit that is glitching !! You can't go wrong when you will receive a (3) Channel 2.4 Ghz Spektrum Series Transmitter, you have a Low Purchase Price Of Only $7.99 and if you buy it now you can receive it in just a "few days" !! So take advantage of this limited time offer and save !!! Get these while you can at this Blow-Out Price because there are only (4) Available and when they are gone they are gone !! ! !